Other news of the day. Light browning with minor margin wear, otherwise good. 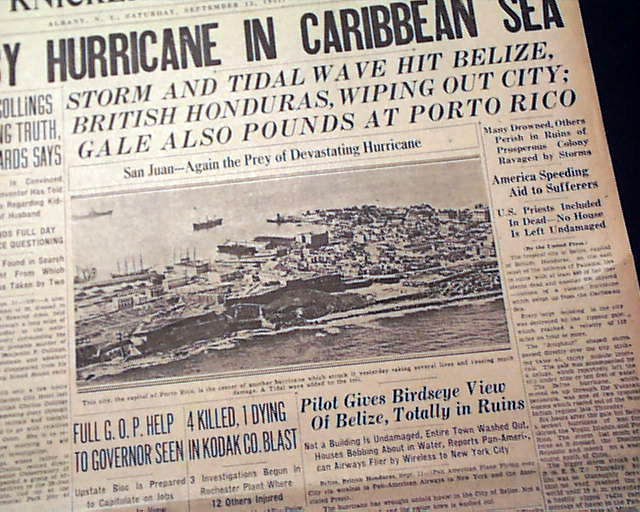 wikipedia notes: The 1931 Belize hurricane was a devastating Category 3 hurricane that hit Belize City on September 10, 1931, killing an estimated 2,500 people. 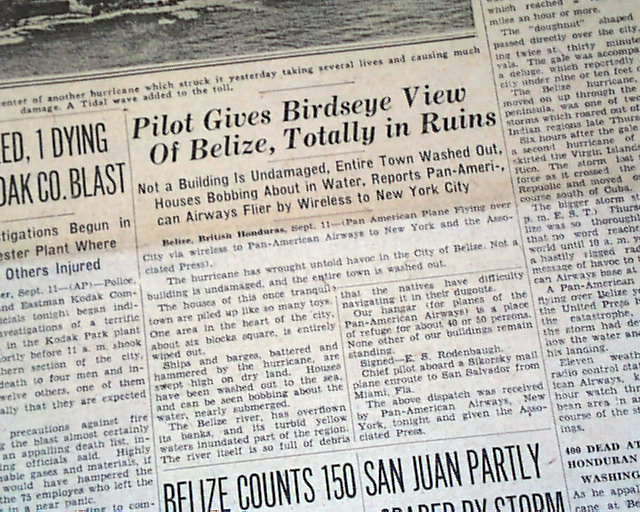 Although not nearly as strong as Hurricane Hattie of 1961, it remains the deadliest hurricane, and natural disaster, in Belize's history. 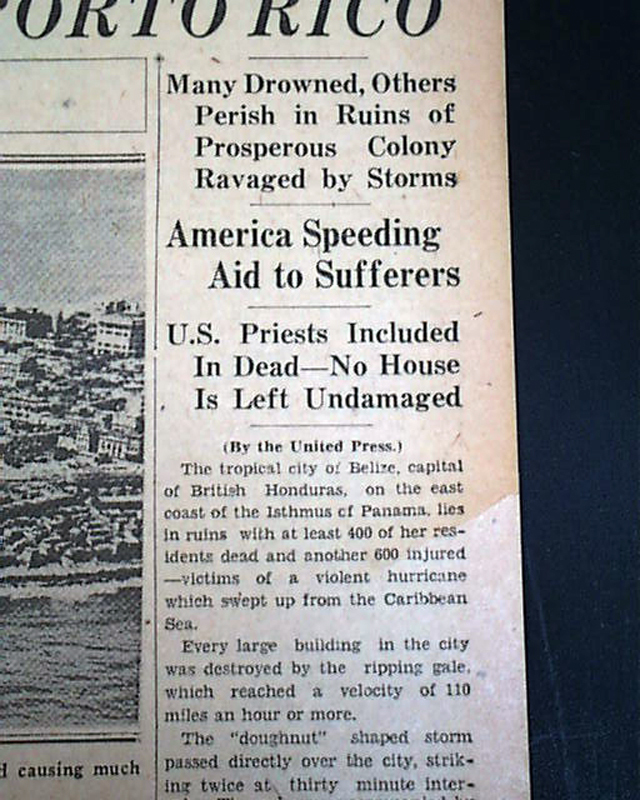 As well as the damage it did to the capital, it devastated the entire northern coast of the country. 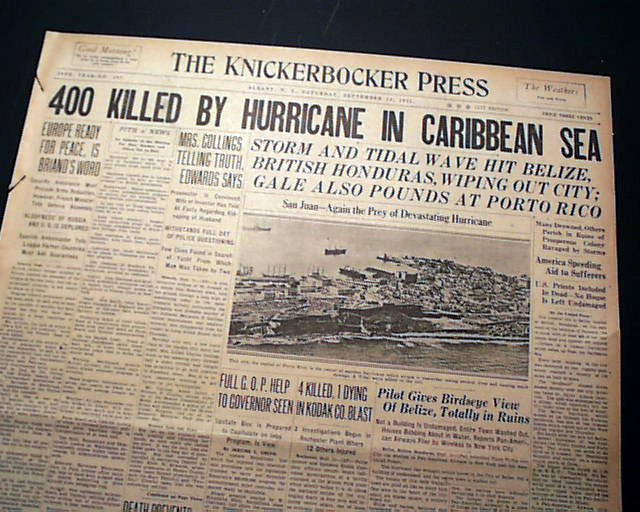 The hurricane began life as a tropical storm that formed east of Barbados in early September and moved westward through the Caribbean. 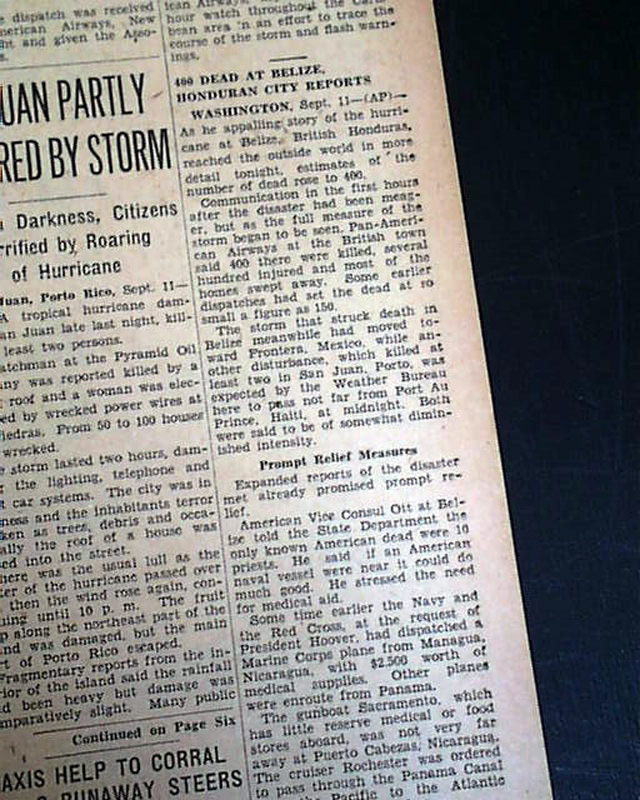 This storm did not strengthen beyond tropical storm status for its first four days, but it intensified rapidly on September 10 into a major hurricane with 125 mph (201 km/h) winds as it struck Belize City. 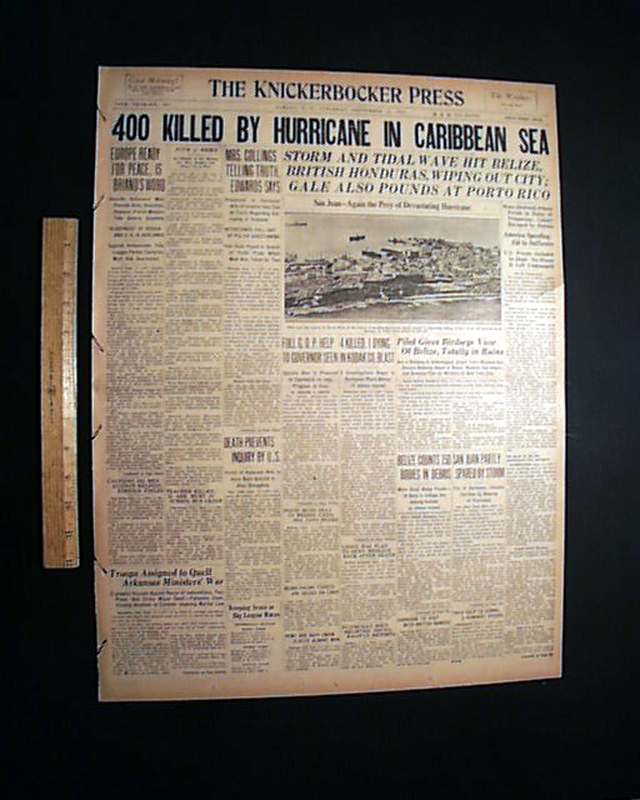 The hurricane's storm surge devastated this low-lying coastal town. September 10 is a national holiday in Belize, celebrating the defeat of the Spanish in the Battle of St. George's Caye. 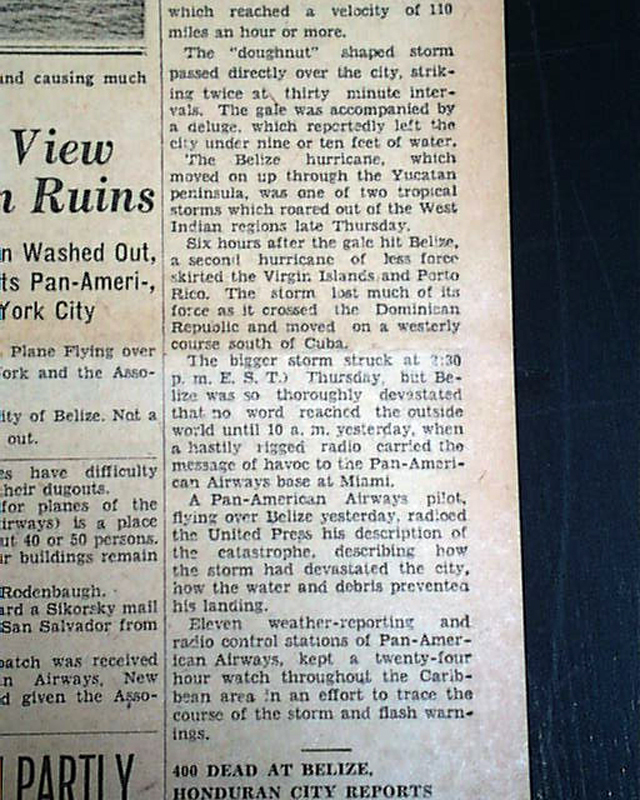 This and the difficulties of forecasting the path and intensity of hurricanes at the time may have contributed to the death toll. 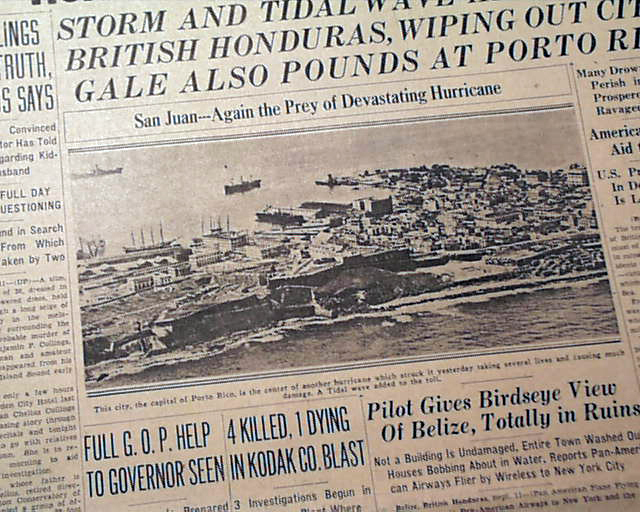 The storm then moved over the Bay of Campeche and made a second landfall near Veracruz, Mexico, before dissipating inland.